Welcome to the WARLORDS Challenge Completion thread, where you find all of the Warlords completed for the challenge. Anyone wanting to sign-up, the Warlords Challenge will run until March 2nd 2018, you can find the linky at the top of the page. So, you've declared your completion, now what? You display you Completion with pride, that's what! As promised, made up moc of SM captain with relic blade and combat shield. Also added iron halo and holstered pistol from bit box. 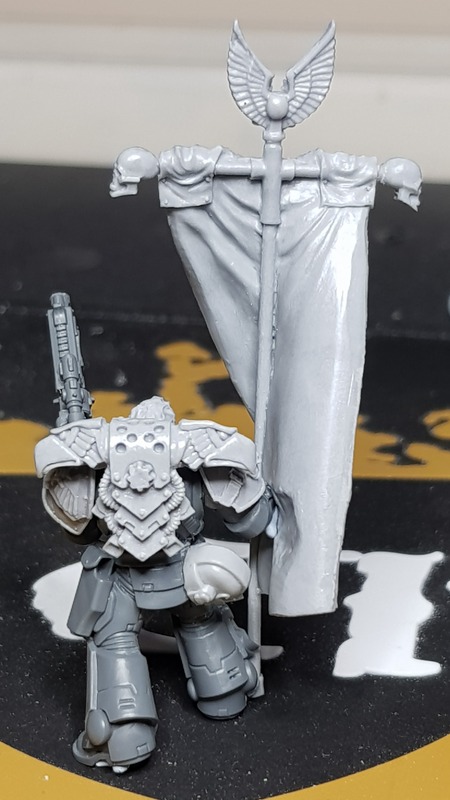 "Every world is under Emperors might, then why i feel empty..."
Here's my primaris captain, lord commander of my Red Scorpions and heir to a certain someone of a lost lineage of noble marines. Will put the rest of pictures later. Edited by Plaguecaster, 02 February 2018 - 10:42 AM. Nurgle Abominarions: A Host of Decay Revived for 8th​. So here’s my entry! It’s my attempt the reconcile some of the slightly older fluff about very individual, barbaric and intimidating Skitarii tribunes in books like Graham McNeil’s “Of Mars” trilogy with the highly impersonal and regimented Codex portrayal the force is given, as well as giving Skitarii a much-needed HQ unit. When the forces of the Adeptus Mechanicus go to war, the faceless marching columns of the Skitatii are often preceded by terrifying four-armed constructs of flesh and metal, draped in grisly trophies and barbaric furs to imitate the Thark of ancient Martian myth. These fearsome individuals are the Spatharoi or “Masters of Skitarii”, the Red Priesthood’s chosen instrument of intimidation. Each Spatharios is carefully engineered by the Magii to evince maximum psychological impact, a careful calibration of threat postures, dymantic theory and violent potential. Their intimidating appearance is matched by their physical strength, skill at arms and the ability to coordinate allied forces on a tactical level, making each one a considerable military asset. The Spatharoi have two primary functions. 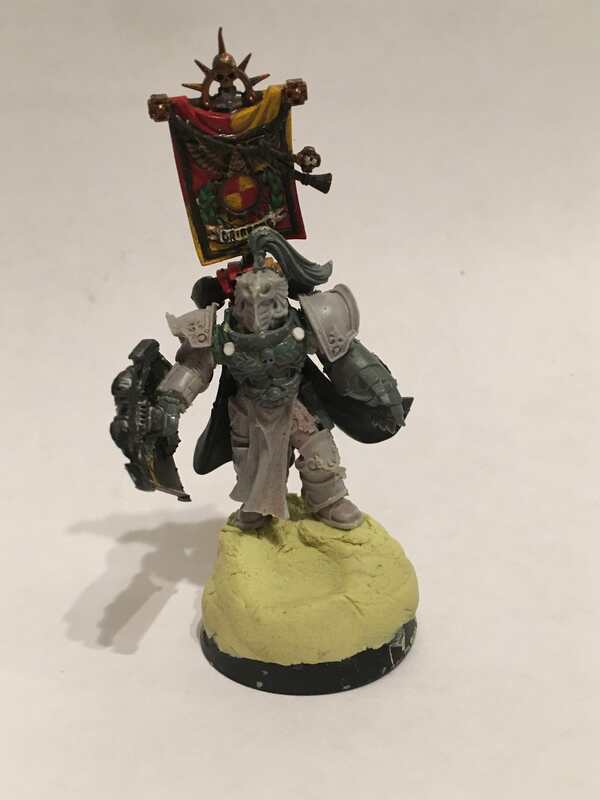 The first is diplomatic, acting as bodyguard and protector to emissaries sent out by Forge Worlds as a token of the Synod’s support and an implicit demonstration of the Omnissiah’s potential wrath. 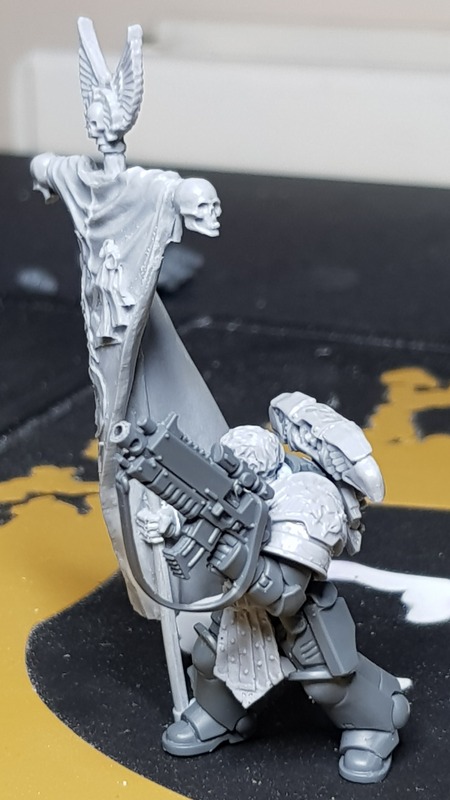 Their other function is on the battlefield, where a Spatharios can unleash its full killing potential at the head of a War Cohort or Maniple of Skitarii. Spatharoii have been furnished with the computational ability to coordinate tactical manoeuvres and can continue this analytical behaviour even as they launch frenzied close quarter attacks on enemy positions and high value targets. However, the real value of a Spatharios is more subtle. 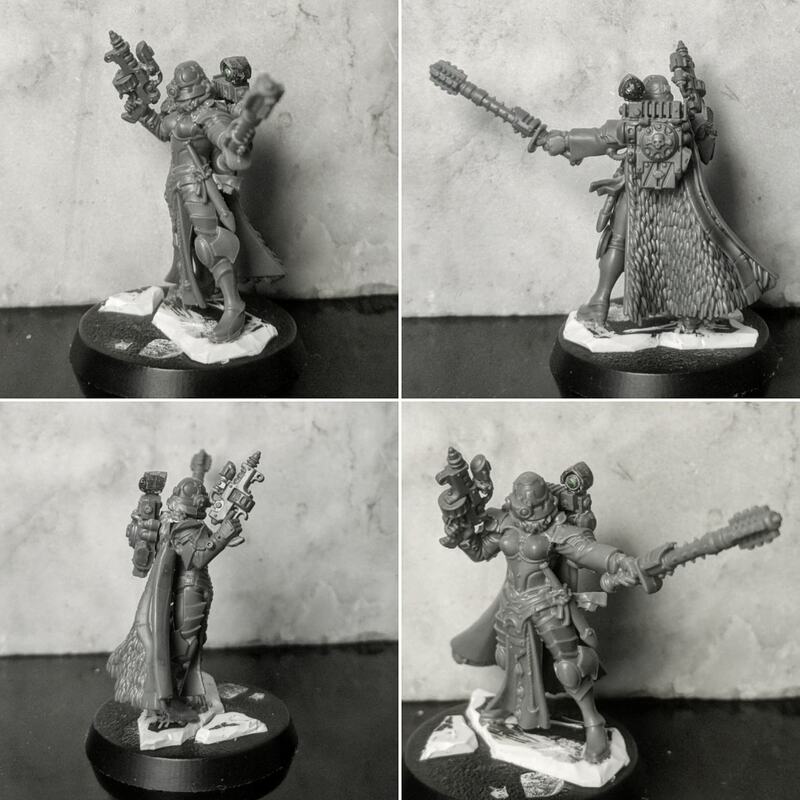 Although they pose as the commanders of Skitarii formations and can even serve as such if required, they are in truth no more autonomous or militarily vital than any other Skitarius. An enemy might commit huge resources to assassinate a Spatharios or assume that their presence in the vanguard of an assault makes the target the Machine Cult’s primary objective; Magii safely secured in distant underground bunkers or in orbit have won uncounted conflicts by utilising such misdirection. 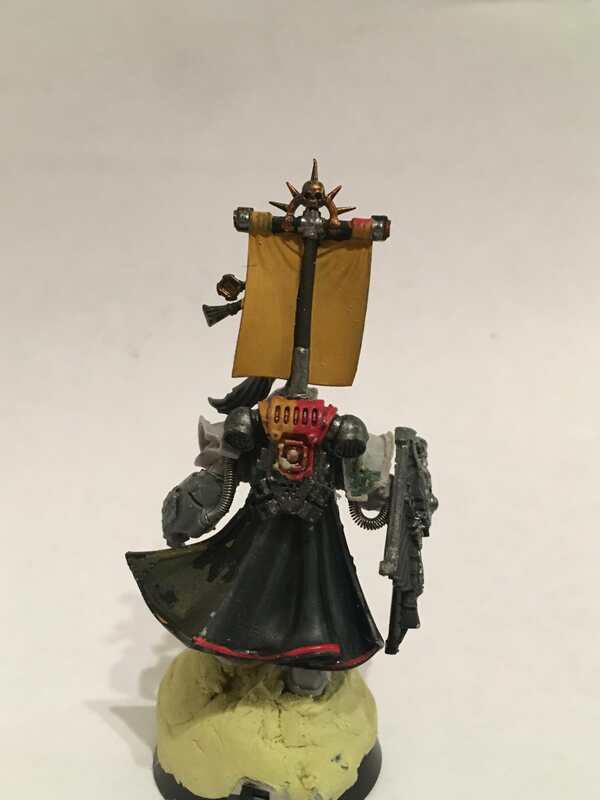 Pictured below is Spatharios Unit 23-7 from the Legiones Skitarii of Forge World Phaeton, presently detached for protection duty and >error92462: Classified< in the service of Archmandrite Vikram, Comptroller Locum of the mining colony of Khamove Tertius. 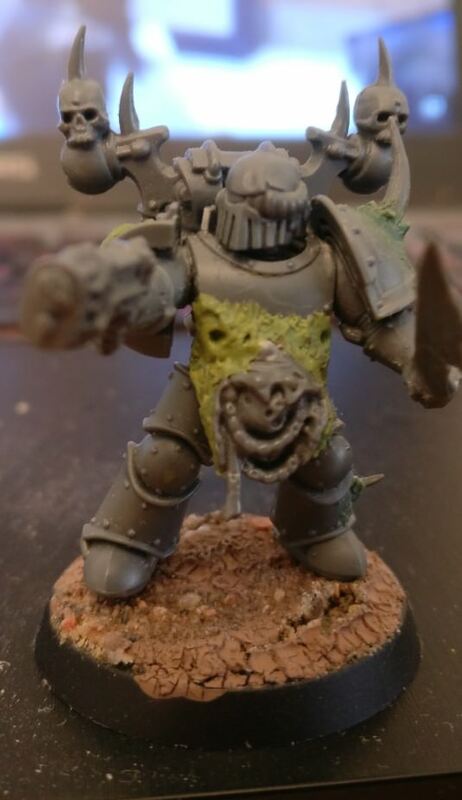 Head- FW Khorne Berzerker with greenstuff hair. 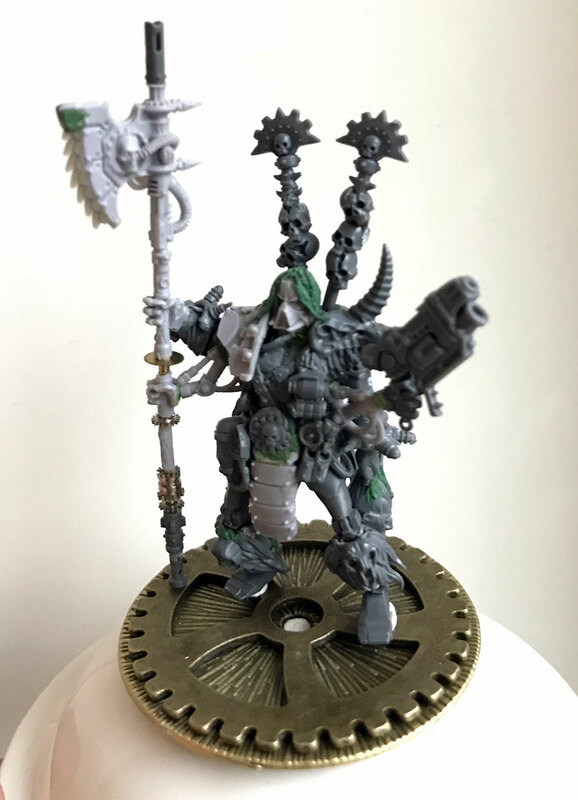 Torso and (upper set of) arms- AoS Darkoath Chieftain, with technological additions from various kits including Electropriests, FW Iron Tyrant terminators and Necromunda. 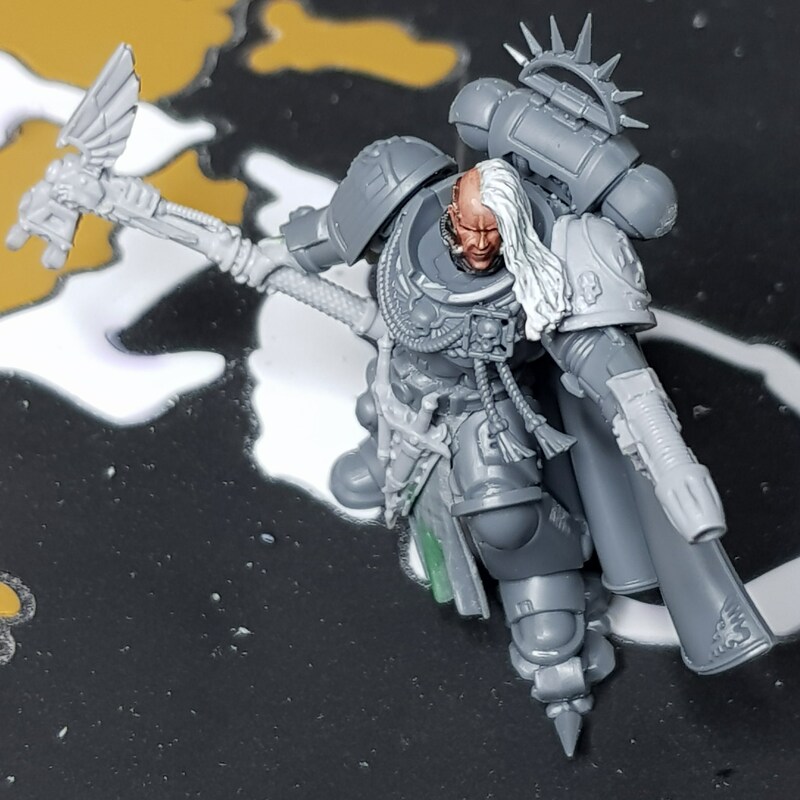 Main weapon- FW Archmagos Draykavac with Zinge flexible chain weapon blade, sicaran flechette gun muzzle, and a variety of watch parts on the bottom to extend the shaft and shift the grip. 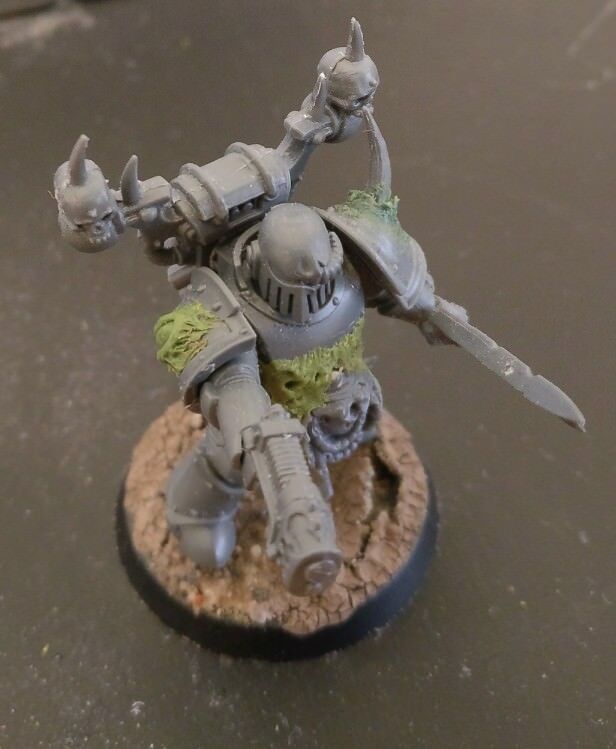 Upper arm left hand- Darkoath Chieftain with hanging head from a Lizardman kit. Lower arm left hand- Techpriest bionic hand with Necromunda Goliath combi-weapon. Legs- Necron Triarch Praetorian with Darkoath Chieftain decorations on the shins and a Goliath bum-plate. 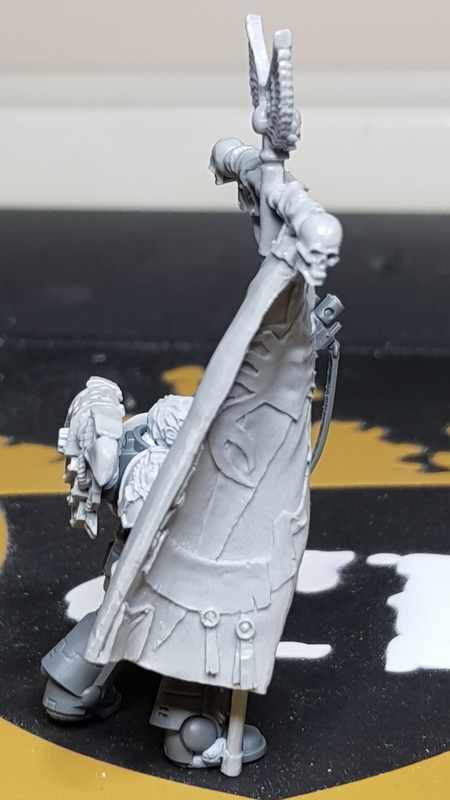 Backpack- Khorne Skullreaper bannerpole with electropriest toppers, plus an electropriest powerpack. 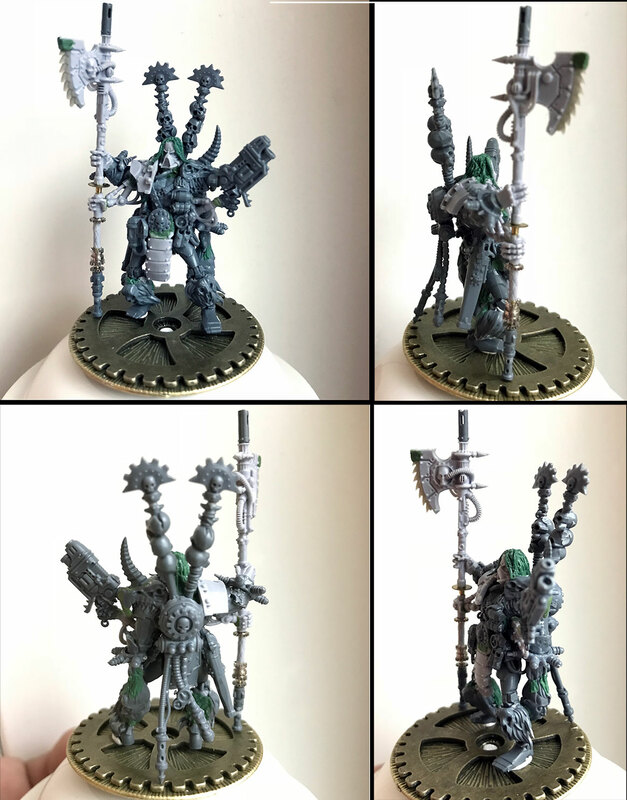 Can I present my offering to the Conversion Challenge? ​"Captian Uthor was instrumental in the rebuilding of the 4th Company after the disastrous losses at Khymara during the Badab War. He was given command after showing impressive leadership skills during the defence of Bregaanand the subsequent fighting withdrawl from the Linnuis Plateau. He bears the powerfist "ancille" (lit. Warbringer), the weapon of office carried by all 4th company Captains since the Chapter's inception in M33, and the Storm Shield "Courtaine" (Lit. Mercy) which he was presented during his time as a Sergeant in the Assault company by First Captain Vortigain. The remaining positions were filled from the chapter's reserve companies, although noticably 6th Tactical (under Veteran Sergeant Feirenz) were inducted in their entirity to fill the squad position. This would explain the lack of deployment with special or heavy weapons. The replenished 4th were then ordered to patrol HIlak System, after reports of Aeldari Pirates operating out of the asteroid belt. 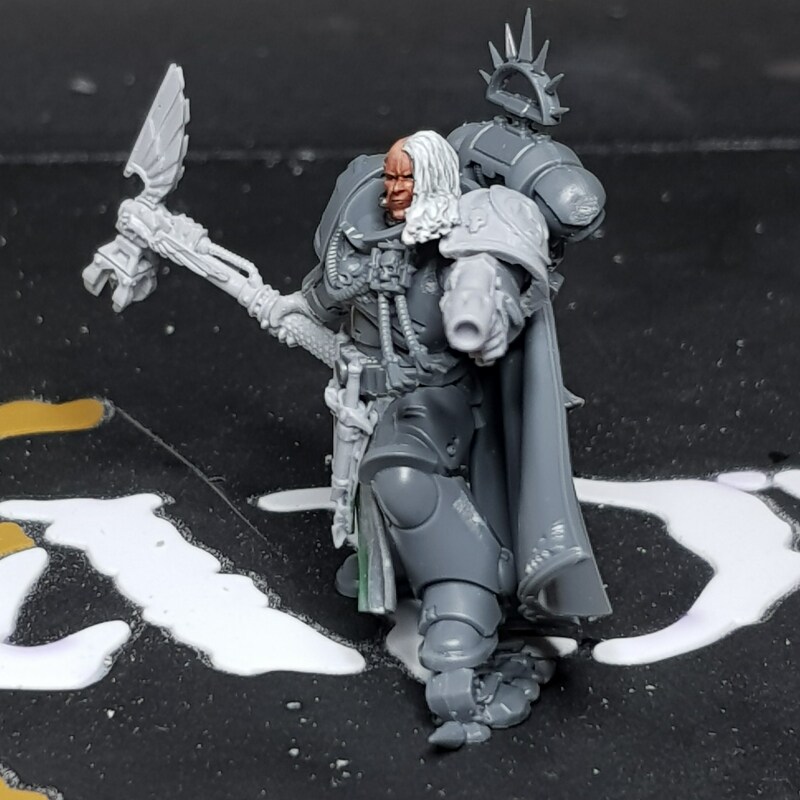 It was during one of the many skirmishesCaptain Ulthor initiated to draw the xenos out that the Strike Cruiser "Avalon's Blade" arrived in system bearing more reinforcements in the guise of Primaris marines. Initially suspicious, Captain Uthor has accepted these warriors into the 4th's ranks, though some of the survivors of Khymara resent the new comers although this situation hasn't come to a head....yet"
​Well that was fun....suppose I'd better get painting him now. 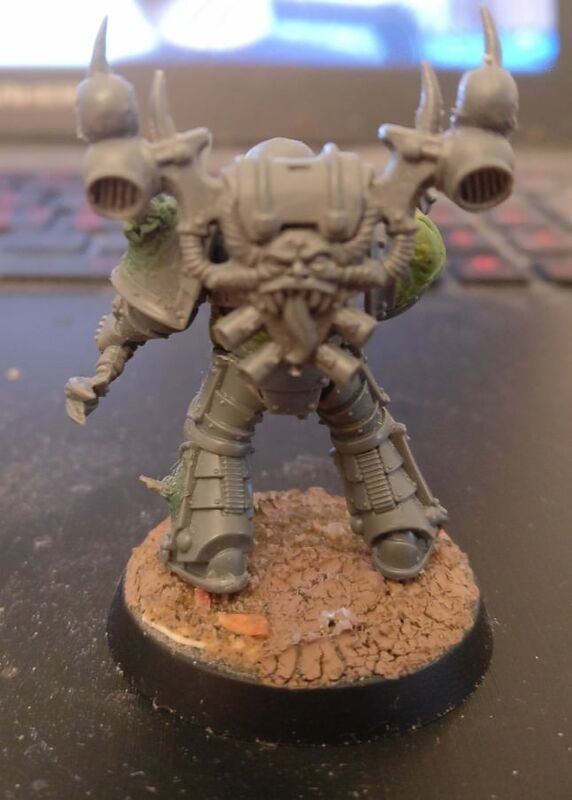 I present Exalted Champion Scifo 'Voidpox' Perkul, Iron Warriors Exalted Champion of Nurgle, possessed by entity known as Voidpox that lives within his body, growing eyes, tentacles and spines through his armor. When Scifo speaks his voice rasps with mucus and pus. His malicous and calculative nature leaves his men wonder which one is in command, Scifo or the creature within his armor. Right arm: MK IV arm with plasma pistol from Raptor kit. I present Arko, Captain of the 121st Company and Commander of the battlebarge Warchild. 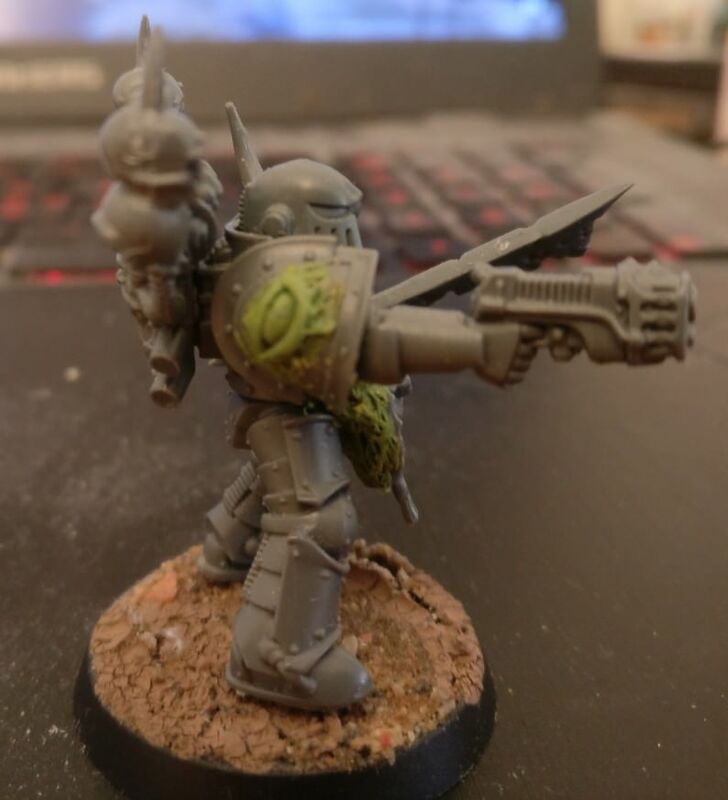 Still held together with blu-tac atm because I want to magnetise backpack and arms. 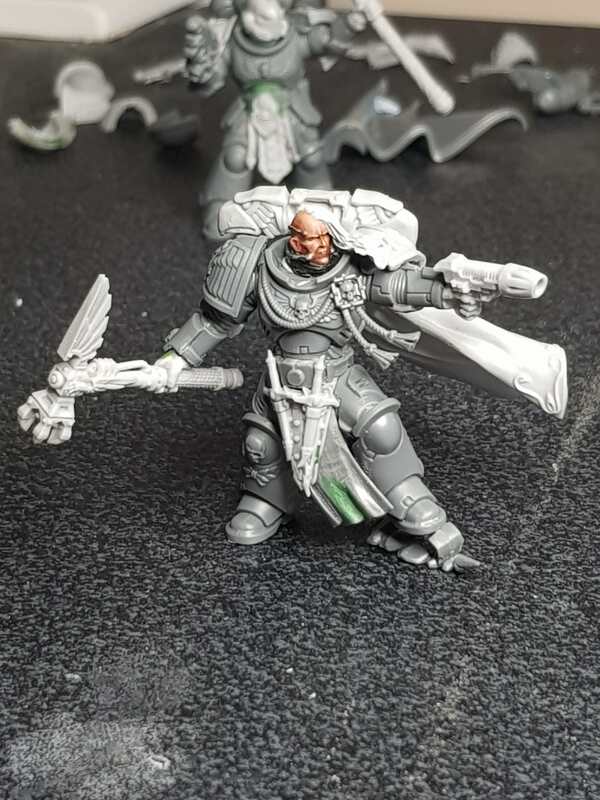 That seems to have come together well - I have a FW Garro sitting in a box who I was planning on eventually adding to my GK. The Kronstaat IV Worker's Defence Force fart in the general direction of perfumed 'princes' in gilt armour. Get out there and them. Edited by Res Ipsa Loquitur, 17 February 2018 - 02:47 AM. "I have of late - but wherefore I know not - lost all my mirth, forgone all custom of exercises; and indeed it goes so heavily with my disposition that this goodly frame, the earth, seems to me a sterile promontory; this most excellent canopy, the air, look you, this brave o'erhanging firmament, this majestical roof fretted with golden fire, why, it appears no other thing to me than a foul and pestilential congregation of vapours. What a piece of work is a man! how noble in reason! how infinite in faculty! in form and moving how express and admirable! in action how like an angel! in apprehension how like a god! the beauty of the world! the paragon of animals! And yet to me, what is this quintessence of dust? man delights not me: no, nor woman neither. Nor woman neither." 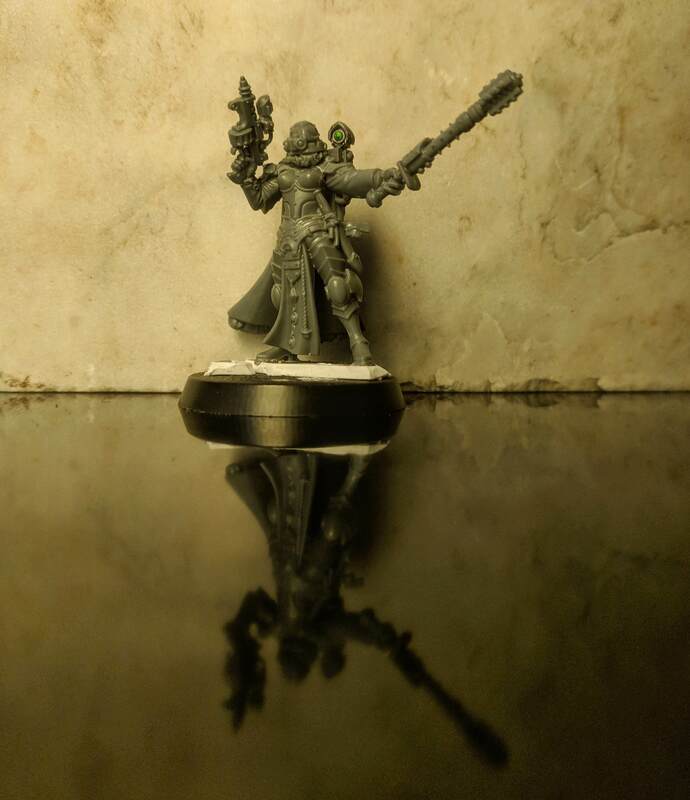 Inquisitor Katarina Ash of the Ordo Astartes. Body is a sister of silence. Arms, maul, and helmet from Skitarii. 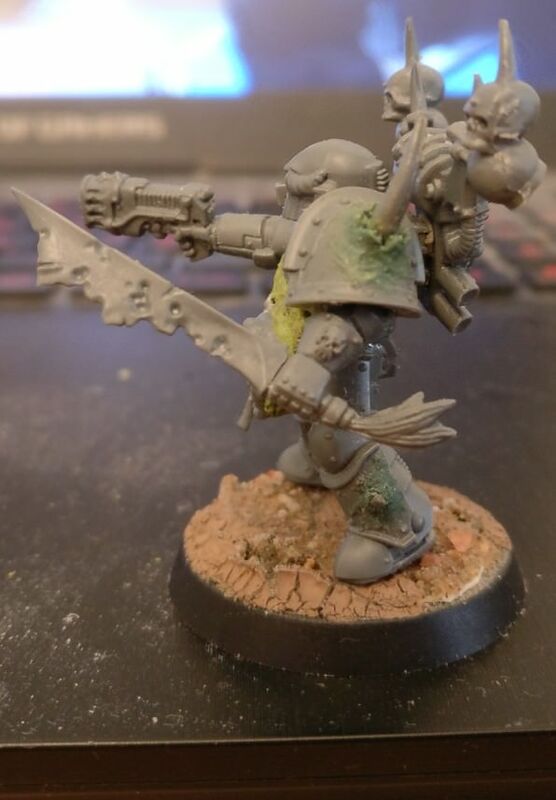 Needle pistol from Skitarii plus a deathwatch scope. Deathwing dagger. 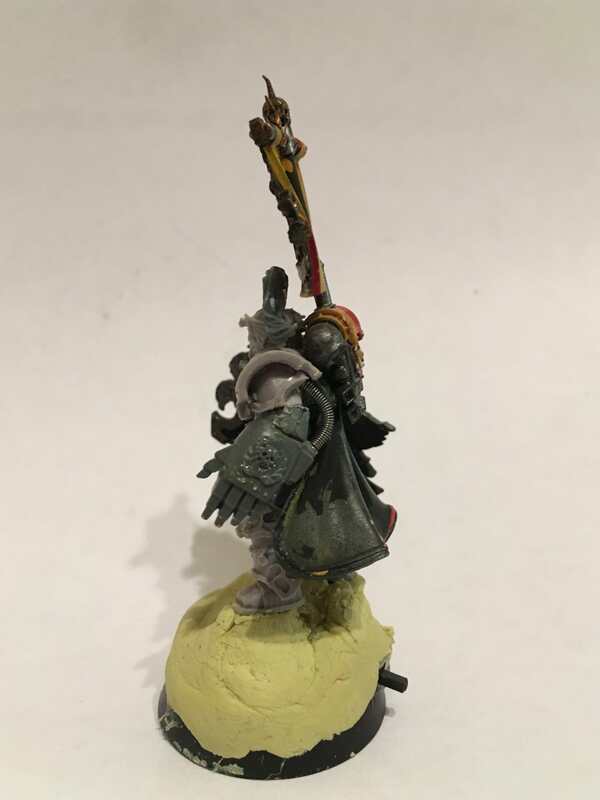 Backpack from scions plus admech parts. Many cuts. Edited by Aramis K, 21 February 2018 - 09:46 AM. "Officially, they were designated the Unnumbered Sons of the Primarchs, but they called themselves the Greyshields. They were the new sons of old science, and they had no fraternity but their own." Captain Erwin of The Angels Excelsis 2nd co .
Edited by deathspectersgt7, 13 February 2018 - 11:13 PM. leadmess.com - my painting and modelling blog. edit: Spoiler inserted because the pictures are massive. Edited by LilShah, 14 February 2018 - 11:47 AM. 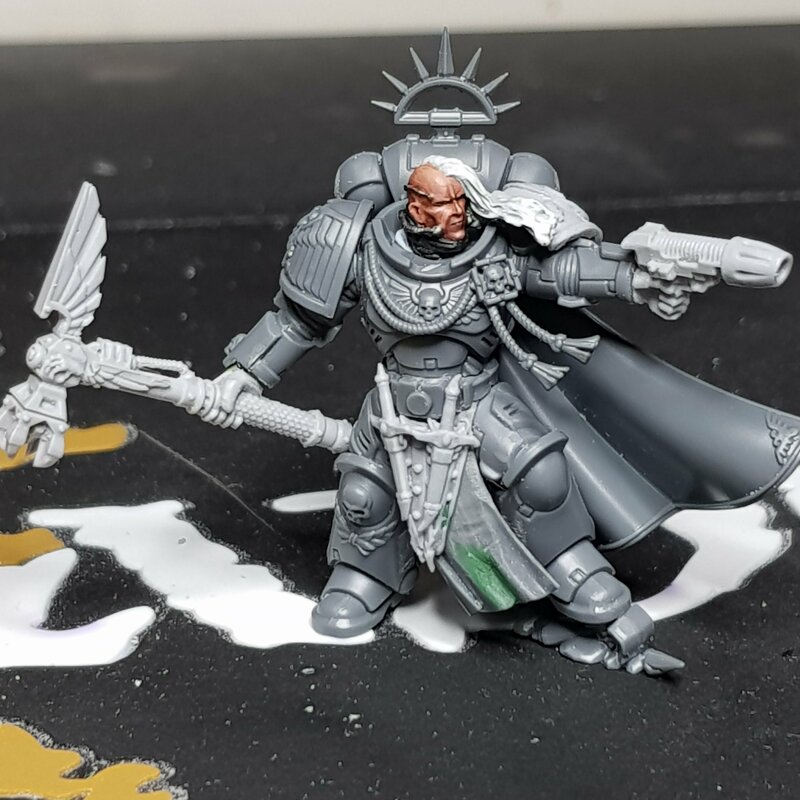 @ LilsSha: Love the XII Legion praetor! The use of those jaws as an improvised Caedere Remissum is especially cool! There seems to be a little air bubble in his faceplate, though, so you might wanna fill that in with GS. Thanks! It means a lot coming from you as the varied and unique marines of the Eternal Hunt is what got me into the XIIth. Without that inspiration I'd probably doing something less savage (and by association exciting) like the VIIth. Also thanks for pointing out the airbubble. I'd seen it earlier but I just dismissed it as a weird shadow. Here's my completed exalted champion. 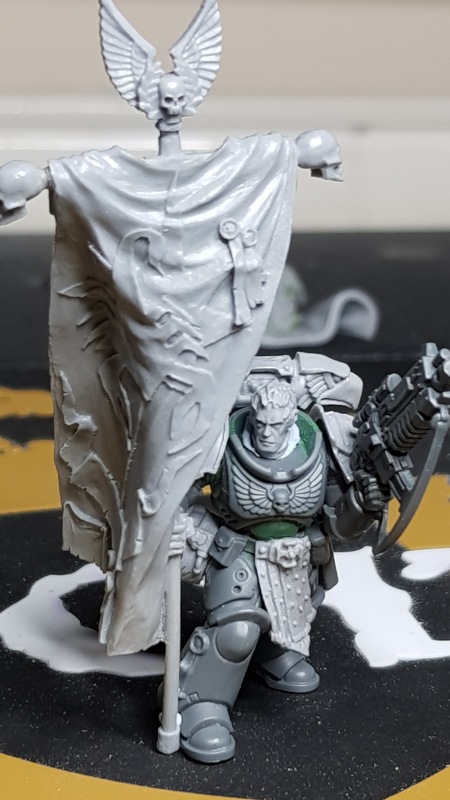 I'm building towards an Emperor's Children warband but I haven't fleshed out the fluff yet, other than that I want to maintain a 'cleaner' chaos look. I'll update this post if I come up with a name for them! p.s. first time uploading and posting images sooo... fingers crossed this works. 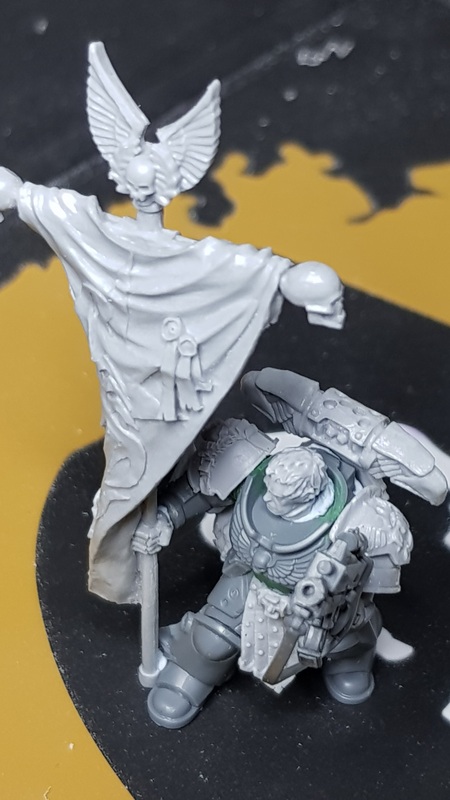 Here is captain No Name of the Mentor Legion. What happens when you pull that rope? Suggestions on a postcard to: Chapter Master Nisk Ran-Thawl, PO box Imperial Palace. 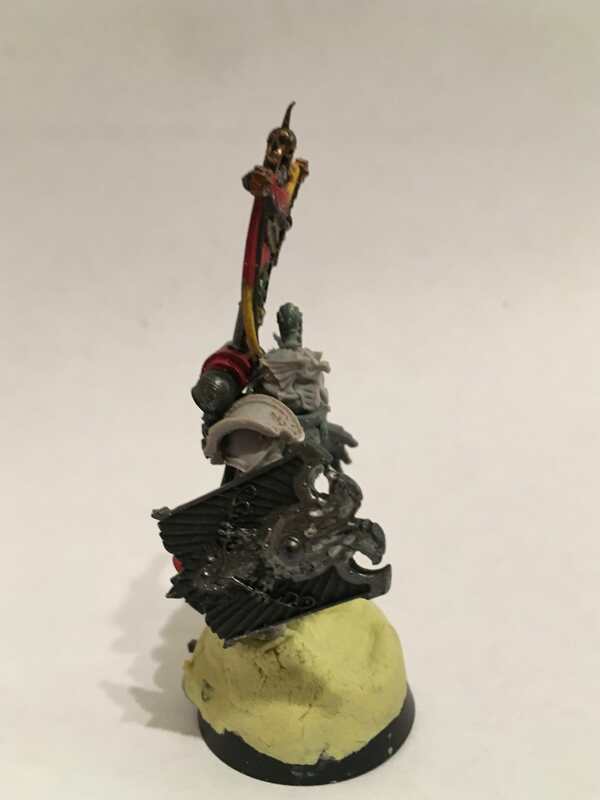 Head - Deathwatch sprue, ][ on the forehead removed. 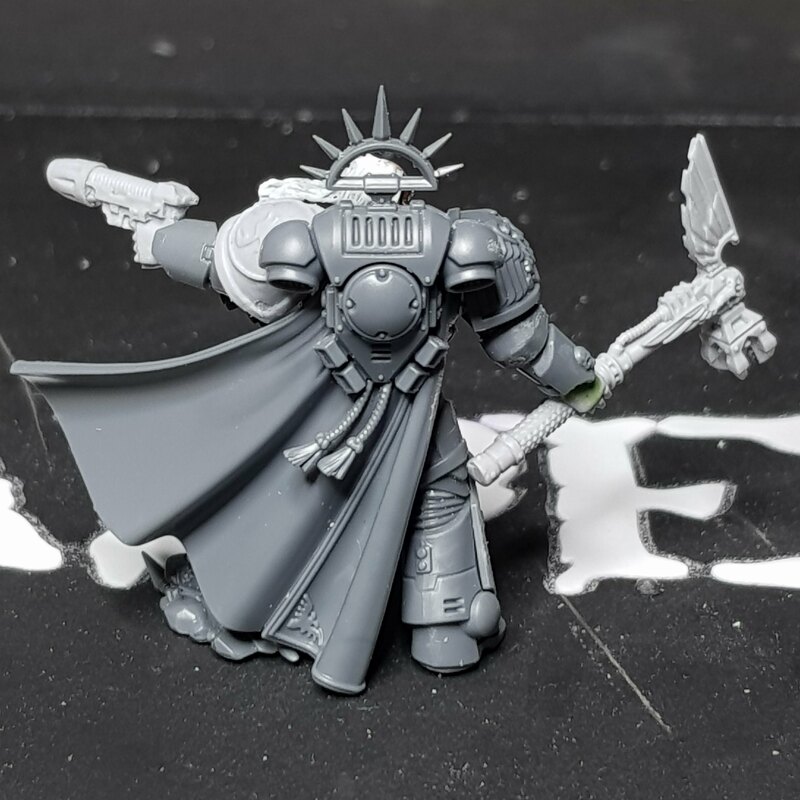 Torso front and back - Space Marine Commander. 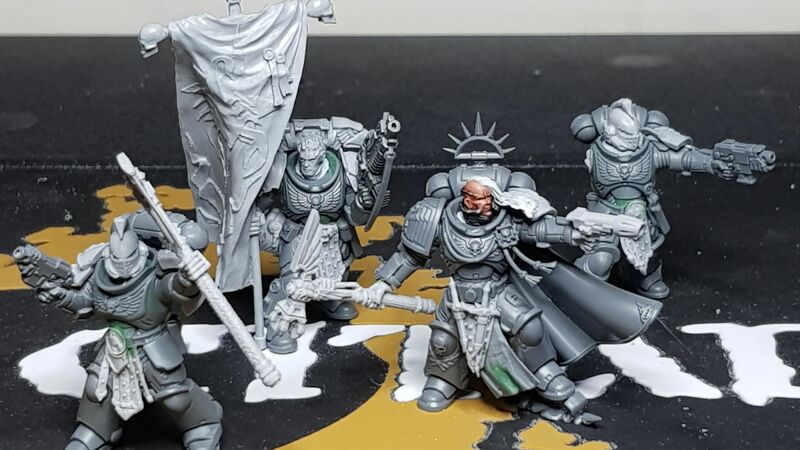 Right arm, left arm, legs - Sternguard veterans. 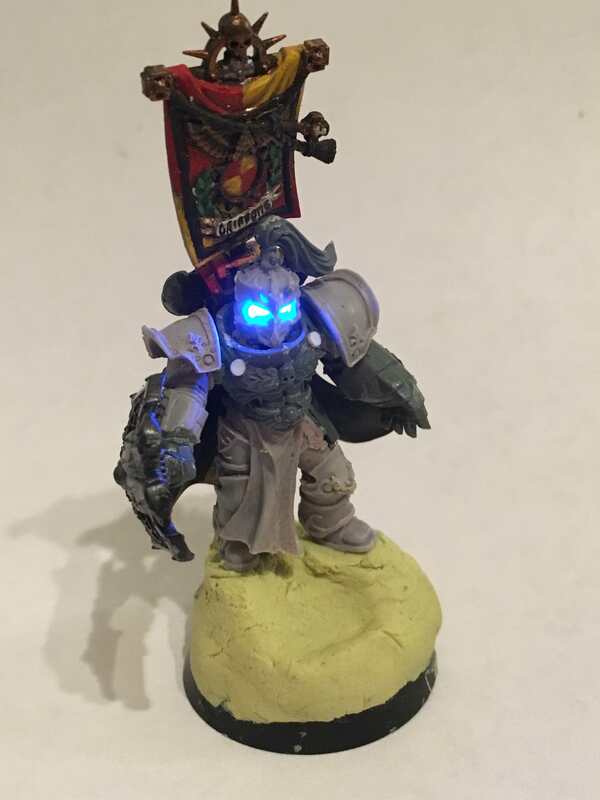 Backpack - Space Marine Heroes Captain. 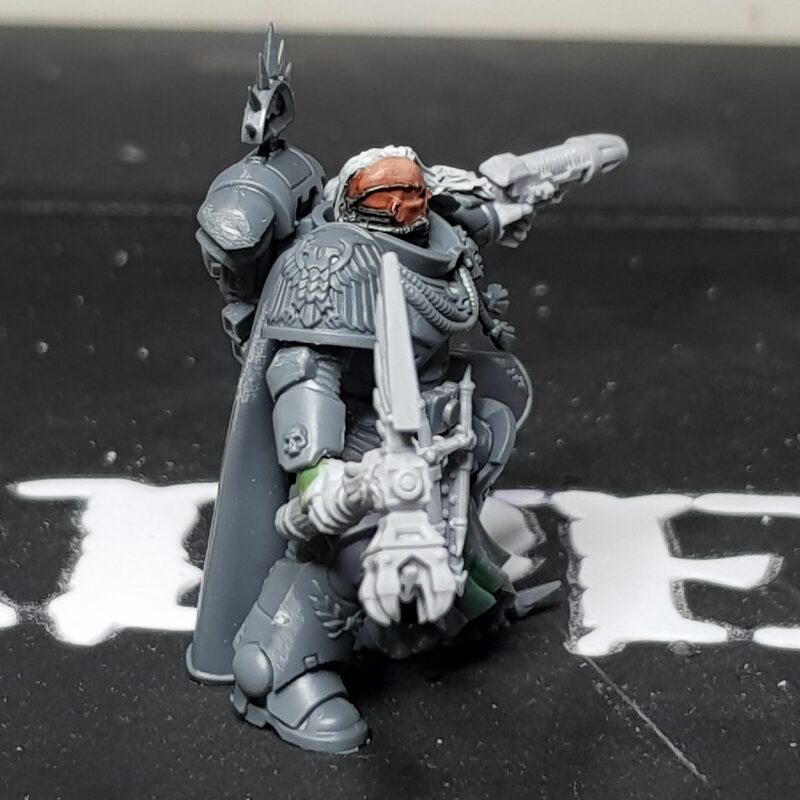 Here's my finished Deathwatch Captain, Argillac of the Dark Angels.